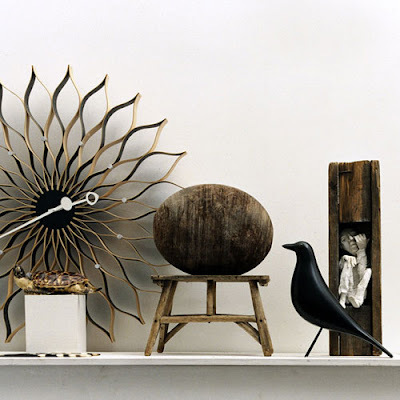 I love birds and I love Charles and Ray Eames. Apparently, they loved birds too. 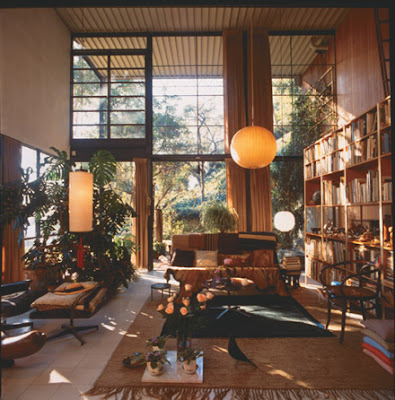 Here's a photo of their living room. In the foreground is a primitive-ish sculpture of a crow-like bird. The Eameses used that bird sculpture as a prop in a lot of their photo shoots. All reports report that it was a treasured object. It was a carving they brought back from Appalachia during one of their many excursions around the world. 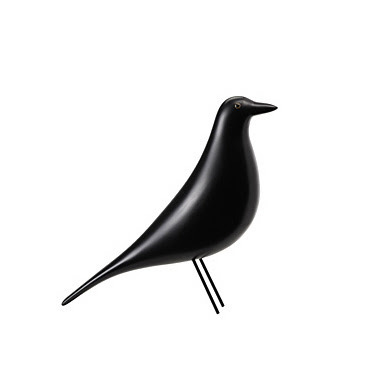 Vitra has made a reproduction of the Eames bird and now you can have one of your very own. Even at $210 I think it's pretty darn cool. Richard: No one uses a word like corvid who's not a bird fan. It reminds of a discussion I had with a client over the definition of a passerine that nearly came to blows. Crows are pretty smart, do crow decoys work? Ducks and geese aren't the brightest things so decoys for them makes some kind of sense. Anyhow, thanks for your comment. You are a highly skilled commenter. Snap! That original Joy of Cooking had all kinds of great recipes for game. I'm not surprised at all that there would be a recipe for crow in it.